Cove Travel’s slogan is ‘with you all the way’ and that means personal care and attention as well as total security. We are fully bonded members of IATA and AFTA. Our experienced consultants are more than happy to help you arrange all your travel needs. Simply call the office to make an appointment. Cove Travel is able to assist you with all your travel needs. 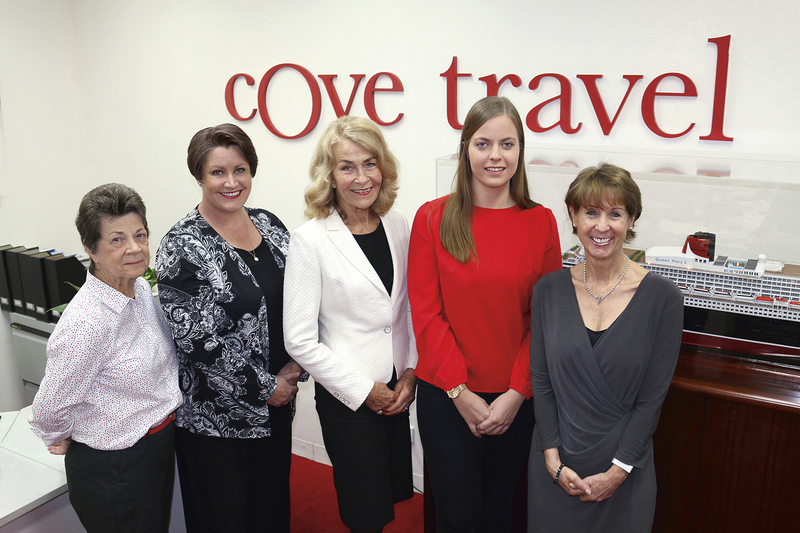 Whether you are looking to book a romantic beach holiday, arrange a corporate business trip or take a cruise, the Cove Travel team is on hand to provide excellent advice and service, making your travel experience an effortless one. Starting her career with a major UK travel and tour operator, Susan covered all major European destinations, including operating as a tour guide in Belgium. 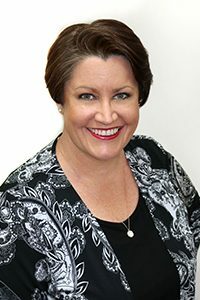 On relocating to Australia, Susan continued working within the travel industry. As well as her widespread knowledge and experience gained from visiting numerous domestic and international destinations including Asia, the USA and the Pacific, Susan has attained a Masters Degree in Cruising – one of the international travel industry’s highest accolades. Her comprehensive professional network ensures both personal and corporate clients receive first-class service tailored specifically to their individual needs. Over the years, Susan’s firm belief that whether you are booking your honeymoon or a business trip, a friendly, trouble-free experience is essential has seen many of her clients become friends. Lucy’s first travel adventure was at the age of 16, when she spent a year in Plzen, Czechoslovakia as an exchange student. This was the start of her love for all things European, including her Hungarian husband. Since then, Lucy has visited the United States of America, New Zealand, South Korea and Hong Kong, as well as many European countries and has taken her family to live in Budapest twice. 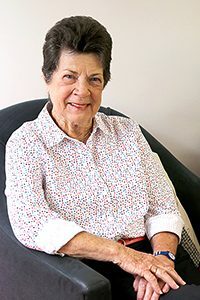 She completed her Associate Diploma in Business – Travel in Townsville in 1995, while also achieving her IATA UUFTA International Qualifications. 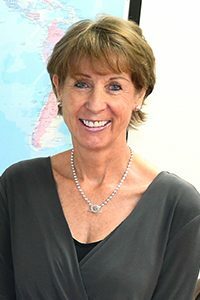 With a wealth of industry and cruising knowledge, Lucy is experienced in handling both corporate and leisure travel and has enjoyed creating memorable itineraries for her clients for over 20 years. Originally from Germany, Stefanie relocated to the Gold Coast with her family in 2008. She successfully completed her Diploma in Tourism, and was awarded Student of the Year, before going on to forge a career in the travel industry including a role with leading airline, Lufthansa. While living in Germany Stefanie travelled extensively throughout Europe including Spain and its many islands, Italy, Austria, Switzerland, Germany, France and Croatia. With her positive and organised attitude, Stefanie is more than happy to look after the finer details for her clients and provide them with the best service possible. Sherron spent many years living and working in various travel-related roles in Europe, the USA and the Middle East, relocating to the Gold Coast in late 1999. Over the years she has gained extensive experience in a wide range of travel options including escorted group travel, theatre groups and special interest group arrangements as well as retail and corporate travel. Sherron’s diverse background allows her to create interesting itineraries based on clients’ individual needs. 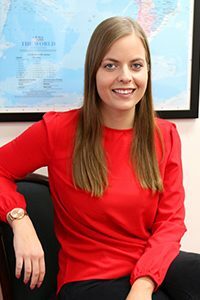 She has travelled extensively throughout Scandinavia, northern Arctic and can provide expert advice to clients with an interest in visiting this beautiful part of the world. With a warm, welcoming attitude, and a professional knowledge base, Sherron has a well-deserved reputation as a friendly, efficient travel consultant. After leaving school Leslie started her journey by completing a diploma in Travel, Tourism and Business studies. In the past 12 years she has worked in all fields of the travel industry, from tour leading in the UK to being employed as a travel consultant for over five years. She has also visited a wide variety of destinations including Japan, Thailand, Egypt, Europe and Africa and had the privilege of living in New Zealand, the UK and Canada. With a lifelong passion for travel, Leslie prides herself on getting to know her clients and delivering an unforgettable and seamless travel experience. Her comprehensive knowledge of the industry, coupled with her extensive travel experience, gives her a unique perspective when helping clients with their plans.